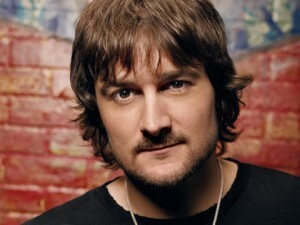 There have been a lot of great male country singers throughout the history of country music. And these legends of country music have written and recorded songs that have spoken specifically to the guys throughout the world that love country music. From Hank Williams Jr. to Waylon Jennings to Eric Church, these guys have written songs with a knack for knowing what the guys in the audience want to hear. The stars of country music share similar lives to those of the guys in the audience. There are tough times that include divorce and losing a job. There are good times like having a few drinks after a long week. There are mischievous times when a guy just needs to hope that his best girl will forgive him. Whatever the story is or what emotion a guy is feeling, he can count on the best in country music to deliver with a great song to capture the moment in time. After years of struggling to breakthrough as a national country star, Jack Ingram finally found success after working nearly 24 hours a day to promote his first number one hit Wherever You Are. However, it was his next single that spoke to the guys in the audience. Love You is a play on a common phrase many guys feel like using and some probably use on occasion. Ingram uses the twist to try and put a fun twist on the common argument between guys and the women they love. It’s successful and the song became a big hit for Ingram. You can see him in concert today performing the song and most guys will be singing right along to the words Love You in the crowd. Some are probably even doing a little pointing. Joe Nichols has made a solid career for himself by covering songs that speak to the women of country music. Nichols’ smooth baritone vocals have the ability to bring the ladies to their knees as they swoon over country crooner. But when Nichols released It Ain’t No Crime he was able to bring the guys in the audience a song that let them be themselves while telling everybody else to mind their own business. It Ain’t No Crime gives guys an excuse to take a breather after a long week of work. As long as there are guys out there that need a little privacy without having to worry about what everyone else thinks there will be a need for songs like It Ain’t No Crime. Sometimes a guy just wants to tell it like it is with a lady at the bar. When Conway Twitty released Tight Fittin’ Jeans he was singing about being in a bar and picking up a lady that was seemingly a little out of his league. There are guys in every bar that take the same chance and this song is one of their anthems. More often than not the guys that have the confidence to take a chance will wind up with the girl. Conway knew the power of this story when he covered the song. And it’s been a classic guy song ever since. Country legend Glen Campbell probably isn’t best known for his guy songs, but Wichita Lineman is a classic. It’s a song about a guy working on the telephone lines. It’s a lonely job, like so many others in the world. The working guy could relate to this song and Glen put emotion behind the story that connected with millions. Most guys have dreams of becoming something in this world. Especially in America where everyone has a chance to take their dreams and turn them into riches, men love having the chance to make something of themselves. Travis Tritt keyed in on this emotion with his single I’m Gonna Be Somebody. The song is likely about Tritt’s own rise to fame in country music, but the story relates to all the guys in the audience that have their own dreams. There is no greater male singer in country music than George Jones. It’s no doubt that the legend will have songs on this list. His hit The One I Loved Back Then (The Corvette Song) was a smash hit in the ’80s. The song is mostly about a Corvette and a little bit about a pretty woman, but the guys in the audience love both so the song is a winner. Guys are pretty simple when it comes to happiness. Fast cars and pretty woman are two key ingredients to making just about any guy happy. 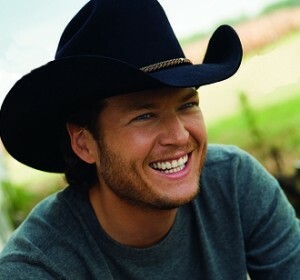 In 2002, up and coming country star Blake Shelton released his third single Ol’ Red. The song was unique when heard on the radio at the time. There is a dark, but fun nature to the song as Shelton tells the story as a prisoner cleverly working his way out of prison by using his cousin and a female blue tick hound to lure the warden’s own tracking dog as he escapes in the opposite direction. There is always something to be said for a song that takes an otherwise bad guy and turns him into the hero of the story. Not all guys have done things to be put in prison, but most have done a few things to trick the authorities once or twice in their lives. And Shelton delivers with a clever, unique song that is still a favorite at his shows today. It’s clear right in the title that I’m From The Country is a song for the guys in the crowd. This song is about being from the country and being damn proud of that fact. There is no one better to sing a song about being country than the Texan Tracy Byrd. His southern voice was perfect for the song and it was an instant hit on the charts. Most guys are out working hard Monday through Friday to bring home enough money for their families while hopefully having enough left over for a few beers and a little fun on the weekend. Steve Azar may have written the theme song for this scenario with I Don’t Have To Be Me (‘Til Monday). The song lets guys feel good about skipping out of work a little early on Friday to take some time for themselves for an extended weekend. Travis Tritt was scorned by a few divorces in his early years and the experiences made for some classic country songs. Tritt wrote an ultimate guy song with Here’s A Quarter (Call Someone Who Cares). The song is about telling the lady in your life to kiss it and say goodbye. There is a time in just about every guy’s life when he gets sick of the woman he’s with and he needs to move on. Travis Tritt seemed a little fed up with all the drama and he finally told the gal that he simply didn’t care what she had to say anymore. 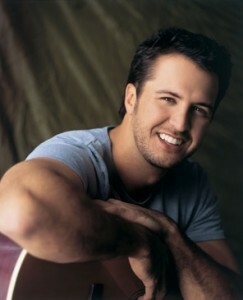 Luke Bryan is new to the country music scene. He now has a handful of hits, but for him and fans it all started with the rowdy All My Friends Say. The song brings guys back to the days of drinking and having a good time with the buddies during the bachelor days. Most guys have this stage as they’re going out on their own for the first time and experiencing a little freedom. And if you’ve done this you’ve likely had a few mornings where you forgot what exactly went down the night before. Generally, your best buddies are there to let you know what kind of party animal you were the night before. Luke Bryan captured these memories with All My Friends Say. When most guys think of the ultimate guys songs they don’t likely think immediately of Clay Walker. Walker has made a living singing about the love he has for the great women of this world. That’s all well and good, but there are other emotions guys go have as well. 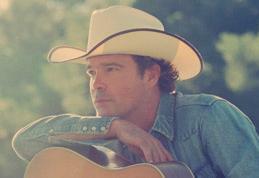 In 1993, Clay Walker released Live Until I Die as the second single off his debut album. Walker wrote the song on his own and it became a huge smash hit for him. It’s a classic guy song that speaks to the dreamer in every man. Plus when there is a pontoon on the river in the video it’s bound to be a hit. Live Until I Die is a reflective song as Clay sings about living life in the moment while looking back fondly at the past while realizing you can change the past, but you can enjoy each day while you’re living it. There is no greater feeling in the world than knowing you’re doing alright in the world and you can sit back, enjoy a cold beer, and spend time with friends and family. 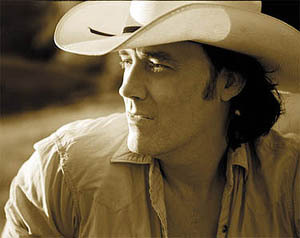 David Lee Murphy has the voice to sing songs that are written for the guys in the crowd. The grit and the growl put a certain edge on the songs that David Lee used to sing during his heyday in the ’90s. A big hit for David Lee Murphy was Party Crowd. The song covers the feeling a guy tends to get when he’s looking for a little release. the song is grooving and fun. The lyrics are catchy and easy to sing along with. Party Crowd is the theme song for jumping in your truck and driving to a few of the local watering holes around the neighborhood. When you need to blow off a little steam there is nothing better than finding a good party crowd out on the town. From the moment the first licks of Right Where I Need To Be kick in through your speakers, there is no doubt that the song is a guy song. Gary Allan lays down his raspy licks on the track as he pours his soul into the lyrics and melody. There are more than a few guys going through the story this song tells. Most guys go through a ton of struggles with jobs, women, kids, money, etc. The choices we have in life make for a lot of struggle. Right Where I Need To Be is a song that tells this story. 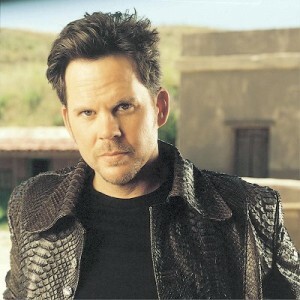 Gary Allan makes the perfect narrator for the story. He’s had a tough live of his own. Struggling recording artist before breaking out, difficulties with marriage, losing someone you care for, and the everyday struggles with touring while having kids at home or even on the road with you. Life is full of struggles. How you handle them is what makes you a high character guy. In the song, the guy turns down a possible promotion to stay home with his gal. The lucky guys are the ones that get their priorities in line with their dreams. While he’s known more for his ballads, Collin Raye had a few great guy songs as well. That’s My Story is a fun song that covers the situation guys put themselves in when they choose to head out with the boys rather than staying home with their woman. Sometimes things can get out of hand a little white lie may find its way into the conversation. Guys are often terrible liars, especially in front of the ladies so there is nothing to do when you know you’re caught than to stick to your story. If you claim that you’ve never been caught in a lie then…well…you’re lying. Who better to sing some classic guy songs than the greatest country music singer George Jones. The Possum has lived the live of a rock star over the years and his rowdy ways got him into some trouble with those close to him. George Jones hit on the emotion of losing a loved one and turning to something else to ease the pain. Jones was known for his excessive drinking over the years and Still Doin’ Time is one of the best stories about a guy drinking to wash away the memories of a woman. Most guys in the audience of a country music concert have felt this way before. The song was a smash hit for George and it likely struck home with him as he was able to pour emotion into the lyric and ease a little pain for the guys in the audience. What more can be said that what Toby Keith said with the song I Wanna Talk About Me? Even if they don’t admit it, most guys have a woman in their lives that love telling stories about their day and how the world is affecting them. But sometimes a guy just wants to sit back and have someone that will listen to what they have to say. Sometimes we just don’t want to listen much. We just want to watch the game on TV, cheer, drink beer, and talk about the stats even though you have no idea what we’re talking about. Sometimes guys just wanna talk about themselves. And girls, we usually love listening to the things you have to say, but every once and a while we have something exciting to share too. But don’t worry, we won’t talk for too long. 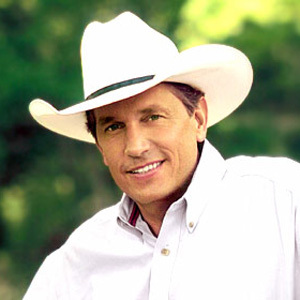 George Strait is the king of country music for a reason. He sings songs for everyone in the audience. For the guys he released Cowboys Like Us. It’s a rolling tune with a fiddle that wanes throughout. It’s the perfect theme song for the guys that dream of living the cowboy life just as their heroes did back on TV in the ’50s, ’60s, and ’70s. There aren’t that many great western movies anymore, but us guys still need our fill of the cowboy life. Thankfully there are real cowboys like the roping George Strait to sing the songs that are the soundtracks to our dreams. We can’t all be cowboys, but deep down inside there is a little bit of a outlaw in each of us. For the guys that go through one or two divorces in their lives, All My Exes Live In Texas is the anthem. It’s a fun nature song that pokes fun at the common situation men (and women) face. King George puts the perfect vocal on the track as usual as he sings the song as a guy just trying to get away from his past while trying to move forward. And he always does it with a sly smile. Brad Paisley wrote I’m Gonna Miss Her (The Fishin’ Song) long before he ever had a record deal. When the time came to record his second album he went back in his archives and pulled out the song and recorded it. Guys all over were loving the song. The narrator is broken down to choose between the love of his life and the woman of his dreams. He chooses to head out fishing (at least the fish can’t talk back…that one’s going to get me in trouble). For all the guys that love to fish and need some time away, Brad Paisley pulled through with a classic guy song. 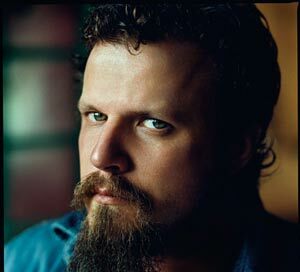 Jamey Johnson originally came on the scene with a sweet song about a Dad and priorities. The Dollar was a great song that a lot of guys could relate with, but for the list of ultimate guy songs we have the second single off Jamey’s smash hit album That Lonesome Song. The song is High Cost of Living. In the song Jamey tells the story of a down and out guy that’s struggling to make it through each day as he makes poor decisions with booze, drugs, and fast women. The song is therapy for many guys that are struggling to get through each day. Whether it’s a woman, a lost job, or difficultly finding belonging, the lonely emotion exists. Thankfully there are genuine folks like Jamey with the talent to connect guys through storytelling and melodies. Just about every guy that is a fan of country music (or that has played a game of cards) has heard the famous words from Kenny Rogers’ signature songs The Gambler. Kenny told the story of the gambler making his way through life by using his expert ability to outsmart and outplay other guys. Many guys love the rush gambling can bring, but few experience a long term winning streak. Alan Jackson has been singing about his hard working lifestyle for over twenty years now. Plenty of guys in the audience look up to Alan Jackson as one of the legends in country music. In 1998, Jackson released his album High Mileage. The collection’s third single was Little Man. The song tells the story of Mom and Pop stores of yesteryear. The video was even more compelling as Jackson drove down main street in and old country town. It was symbolic at the time of how America was changing. As business became more centralized and more of a commodity, guys like Jackson couldn’t help looking back in time as they missed the days when local service was the key to a good business relationship. 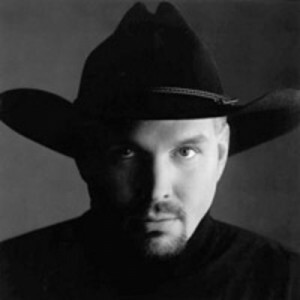 When Garth Brooks released Much Too Young in 1989 he was coming up fast on the age of 30. It’s a big age for any man to hit. And for the rodeo cowboy in the story of the song, age is the ultimate enemy. As men move on in live and put on a few years, the aches and pains begin to creep up. It’s more difficult to stay in shape, it’s difficult to do the things we were able to do during our prime. Occasionally we flash glimpses. When we’re watching the game on TV we still see ourselves in place of the stars as we shine and perform with excellence. It’s a common feeling for all men – just too young to feel this damn old. The debut song always seems to have a special impact on the charts. Toby Keith broke out in 1993 with his first hit single Should’ve Been a Cowboy. The song became an instant hit on the charts. Guys fell in love with the idea of fulfilling their dreams by thinking about how their life may be different if they had just become a cowboy. Toby’s song became the most played song of the ’90s (and it came out in ’93). The song is still played on the radio today and guys are still in love with the tune as they daydream about heading out west and riding with their childhood heroes. As guys settle down with the great women of this world they tend to lose…let’s call it a little bit of the recklessness they had as bachelors. Some guys even feel they lose a little bit more of their manhood when they get hitched. 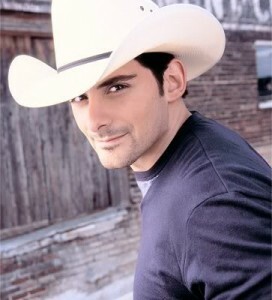 Brad Paisley fought back with his hit song I’m Still a Guy. In the song Brad acknowledges the things he does for his best gal, but always reminds her that he is still a guy. Any song that includes hunting, fishing, tackle boxes, and naked girls it needs a place on this list. It’s easy to forget that Clint Black was the original member of the Class of ’89. Despite the later success of Garth Brooks, Alan Jackson, and Travis Tritt, it was in fact Black that had the most initial success. The breakout career of Clint Black began with the groovy tune A Better Man. The song is still a favorite on country radio today. It shot straight to number one in ’89 and made Black an instant star. The song is about the breakup of a relationship. Black plays the narrator as he tells his ex that he’s feeling like he’s a better man as he leaves the relationship. It’s a surprisingly mature look at the end of a relationship, but it was a welcomed story as men related to the lesson. Waylon Jennings and Willie Nelson released Good Hearted Woman during the height of their success during the ’70s. The song saw the two country legends telling the story of a good timing man that had a good hearted woman doing all she could to hang onto him. It’s a double edged sword for guys if they find the right one: can you take in the love a woman while still respecting her and giving her everything she needs. There are lots of good women out there and plenty of good guys for them. When you find the right gal, be sure to treat her right. Nobody could put it more simply or with more genuine feeling that Merle Haggard. The legendary country singer had a way with putting together lyrics that told the stories of the way guys in the audience were living their lives. With I Think I’ll Just Stay Here and Drink, Haggard was able to express the feeling guys get when they are fed up with life. In this case it was a woman that drove Merle to make the decision to just rid himself of the situation by staying put and having a good beverage to ease the feeling. A recent hit single on the charts, Hillbilly Bone features two of today’s top male country singers. Blake Shelton and Trace Adkins have two of the deep voices and the stories they tell through their songs are all about what it’s like being a guy. This tune is about figuring out that just about every guy has a little bit of hillbilly in him. There are many things we all do that would make proper folk gasp and feel uncomfortable. Who among us has never sped down the road in a red light race trying to impress the girls? This song hits the mark with vocal delivery, music, and especially the lyrics. I’ll tell you right now that any song that mentions my favorite gun – 30.06 – is going to make a list of the greatest guy songs of all time. The man with the silver beard is back on our list at number 19. You’ll find Coward of the County here because it’s a story that just about every guy can relate to. Think back to the time something happened in your life that really forced your hand and you had to act out with a little violence. Usually the circumstance involves another guy that is acting like a complete buzzard. As the song says, “…sometimes you’ve got to fight when you’re a man”. Even though we all had mamas that taught us better and had dads that threatened to whoop our butts if we ever fought, there comes that time when throwing a few fists is the only way to handle a situation. In the 1960s, Waylon Jennings played along with the record execs in Nashville as they worked together to put out some hits. Things didn’t quite work out. Waylon just couldn’t find success using the same formulas the execs were having success with at the time. As a result, Waylon struck out on his own and later released music that would lay the foundation for the ’70s Outlaw Movement. There were the occasional comparisons to the great Hank Williams. Waylon had much respect for Hank, but to turn down the comparison he recorded Are You Sure Hank Done It This Way. The song simply made the point that Waylon was actually carving an original path in Nashville. Guys need the feeling in life that they’re leaving their mark, that they were an original. Waylon wrote the theme song for that dream. And I love this cover by Miranda Lambert and Jack Ingram. The song also saw a reprisal in the hit movie Crazy Heart. To kick off his second album, Dierks Bentley knew he had to keep the rolling tunes coming. 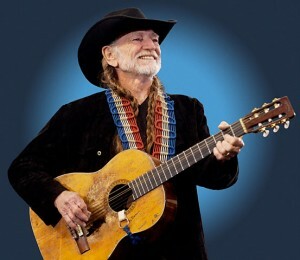 He responded with what is likely his best song to this point – A Lot of Leavin’ Left To Do. With this song Dierks was able to modernize the classic cowboy and rodeo songs that had worn out country music over the years. The old cowboy songs always mentioned the wandering ways of the ropers and the riders. 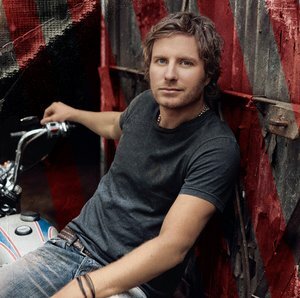 Dierks simply put his own story and twist on the theme by singing about his life on the road. But the song was vague enough so that every guy could put himself in the boots of Bentley. Some guys are born to wander from woman to woman. There is no disrespect involved. There is simply a desire to keep moving, keep getting through life while discovering all the wonderful things and people that are around us. Aaron Tippin is a guy’s guy. He has the nasally voice. He has the working man credibility. When you hear Aaron Tippin come on the radio you get the sense that he would drive over to your house and help you get your mustang running if you needed him. Those kind of guys seem to be becoming extinct today as we all seem too busy worrying about ourselves. With the song Workin’ Man’s Ph.D, Tippin put his hard working nature on record and radio for all of the remaining guys in this world. If you still love to head out to the workshop or garage and do a little work with your hands…this song is for you. 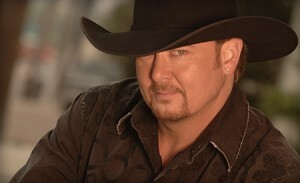 Tracy Lawrence turned a popular phrase on its head when he released his big hit If The Good Die Young. The song tells the story of a guy as he goes from kid to adult doing the things that make mamas all over shake their heads. Tracy is the perfect narrator for the song as he puts the grit and genuine feeling into the song. When you hear it on the radio you get the sense that Tracy did a little hell raising in his younger days. However, as the narrator of the song he’s convinced that if the saying “the good die young” is true then he is sure to live forever. It’s a clever twist and it gives all of the bad boys out there a little reason to smile and continue on doing the occasional wrong thing. Not many guys could sing a song like Johnny Cash. The great man in black knew how to tell stories through his music by singing about what his audience wanted to hear. Cash realized there were lots of guys in his audience that didn’t have the best relationships with their dads. It was a different time and a different place back in those days where more than a few dads were tough on their kids. In A Boy Named Sue Cash tells the ultimate story of a son that has every right to be angry with his father. The man gave him the name Sue for God’s sake. After a knock down, drag out fight between father and son there comes a realization that the father was trying to do the best he could to make his boy tough. There was such passion in Cash’s voice that the men in his audience always let out a hoot and holler when he sang the lyrics “My name is Sue! How do you do!? Now you gonna die!”. Have any guys out there settled for a burger and a grape snow cone? Unless you’re lying you should have your hand up. Every guy has memories of his own coming-of-age story. Alan Jackson told his story with the song Chattahoochee. The song talks about Alan’s days growing up on the river. He hung out with buddies, played a little guitar, got into a little trouble and had a few encounters with the girls. The entire song feels like one big chorus. The song never lets up as everyone in the audience struggles to keep up with the fast pace. Yet if we are able to keep up we know just about every word Alan is singing. All guys share the same story as the song. We all learned how to life in our own ways. Jackson gave us the secret to life – A lotta ’bout livin’ and a little ’bout love. With another story about a guy growing up, Tim McGraw hits the countdown with Something Like That. Most people know this song as the barbecue stain on my white t-shirt song and for Tim the song was a huge hit. Most guys have their own memory of spending a summer hitting the fairs and county events. We’d spend some time with our buddies hanging out and drinking beer, but mostly we were interested in finding a few pretty girls to spend time with. Tim goes on to sing about a few more encounters with the woman in the song, but the key point is that he never forgot that moment when he first saw the love of his life. By the time George Strait released Give It Away it was thought that the divorce theme had been way over done in country music. But leave it to some great songwriters and the storytelling ability of King George to knock one out of the park. At the time, nothing sounded like this song. By the time this song was hitting the top ten listeners of all ages were singing along. But it was the guys that could relate most to the story. Over 50% of the guys out there have been through a divorce and probably 99.9% of us have been through a breakup. It’s never any fun, but songs like Give It Away make the circumstance a little more easy to deal with. It’s always good to know that others are going through the same things. Nobody is alone in this world. At the very least we can always count on country music to be there for us. In 1999, Toby Keith took his latest collection of songs to his record company. After over 5 years of number one hits, gold and platinum albums, the execs of the label told Keith that his album wasn’t good enough. Toby asked the label if they would release him from the contract and they agreed. Toby planned to take his album with him, but the label said they had money invested. Keith had to pay a reported six figure sum to purchase the rights. He took the album and found a home on a new label. The result was a a platinum album that was bolstered by the title track How Do You Like Me Now!?. It’s the ultimate kiss-off song. The song was about a former love, but guys all over use the phrase for a variety of reasons. And the song had a little extra meaning for Keith. I had mixed feelings about including Eric Church in the top ten on this list, but his song Guys Like Me is just so great. Eric writes simple lyrics that describe the lifestyle of most guys that listen to country music. It’s hard to ignore a song hits the nail on the head with working on the truck, wearing a greasy ball cap, and wearing boots to church. There is a little subtle ode to Some Girls Do. 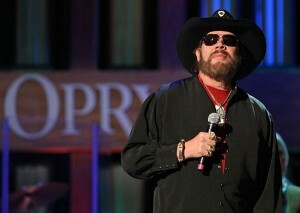 8) Family Tradition – Hank Williams Jr.
Hank Williams Jr. is quite possibly the ultimate guy’s guy in country music. Rockin’ Randall was rowdy, fun, and a genuine country guy. He likes to shoot guns, fish, drink beer, and drive trucks. He wrote about as much with his breakthrough hit Family Tradition. The song allowed Hank Jr. to move from being only the son of his famous dad to a legitimate country star in his own right. When this song comes on the jukebox or is covered by a band in a bar these days just about the whole place will chant along. It’s pretty unreal how respected George Jones is among his peers and audience. Performers from all genres regularly cite the great singer as an influence. In 1998, Jones released a new single called Choices. The song wasn’t a huge hit on radio, but the song had an immense impact on guys across the country. I can remember sitting around a campfire at hunting camp as the 3 middle-aged men around me drank beer and sang along to the chorus. But perhaps the defining moment for Choices was at the 1999 CMA Awards. The producers offered George the opportunity to sing Choices, but he would have to cut it down to 90 seconds. George was insulted and turned down the offer. 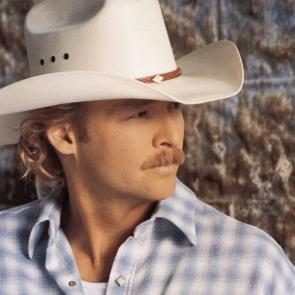 Alan Jackson – a big fan and friend of George Jones – had a spot where he sang his hit Pop A Top, but halfway through he stopped the song and sang a portion of Choices. The artists stood in applause. Alan simply acknowledged the crowd and walked off. A great statement for a great song and legend of country music. For guys that grew up in the early ’80s, the hit show on TV was The Dukes of Hazzard. Along with the popular show was the popular theme. Waylon Jennings wrote and recorded the song. It’s 2 minutes of pure joy as Waylon rolls through the lyrics and melody. Just over 25 years after the show and song came out, the track was the first country song to be certified as a platinum ringtone. 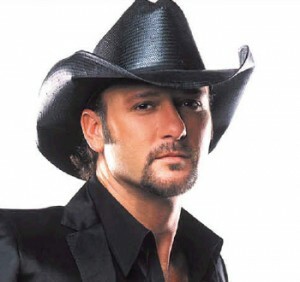 Tim McGraw is back on the countdown with his cowboy tune. A slow moving tune about what it’s like to be the typical guy. The choice we make, the hearts we break, and the work we do is all part of what defines us as men. The few things that others sometimes question are usually a result of all guys having a little cowboy in them. The baby boomer generation grew up by watching westerns. The cowboys on TV and the actual farmers, ranchers, and rodeo stars left their mark on those men. Tim was the perfect guy to put his stamp on a classic song. Brooks & Dunn ruled country music for nearly two decades. They brought a rocking sound to country as they tore through songs like they were on a mission. Hard Workin’ Man was their ode to the guys in the audience that were working physical jobs to make a living. B&D brought a brash attitude to country and guys responded by buying their records by the millions. Nobody could lay a vocal down like Ronnie Dunn and nobody tore up a stage like Kix. These guys may take a break from performing each other in the near future, but they’ll forever be linked as one the greatest duo in country music history. The ultimate bad boy song. 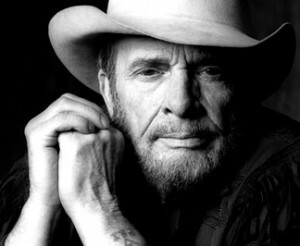 Merle Haggard released Mama Tried as a way to let everyone know that his mom was not responsible for the bad things he’d done in his life. Plenty of guys could relate to the tale of a mom struggling to keep her young sons in check. Some guys are simply too dead set on doing their own thing and making their mistakes. Merle tried to give all those moms out there a little credit for trying to do what they could with an impossible task. 2) A Country Boy Can Survive – Hank Williams Jr.
Hank Williams Jr. just about topped the list with A Country Boy Can Survive. The song is just about the ultimate country music song. Guys living in rural parts all over the country relate to the story this song tells. The men of America are rugged, survivors, and ready for anything when it comes to doing what is necessary. Shooting guns, skinning deer, and running trot lines is all that needs to be heard to know that this song is a classic guy song. Plus nobody could lay down a guitar lick like Jr.
For the number one, ultimate guy song I had to go with Toby Keith’s As Good As I Once Was. The song was a multiple week number one smash hit. The story of the song is meaningful to all guys as they realize they’re putting on a few years. As guys reach maturity they realize they may not be able to do all the things they used to, but damn it they can probably do it all once just as good as they ever have. Toby Keith made that feeling a possibility with this song. 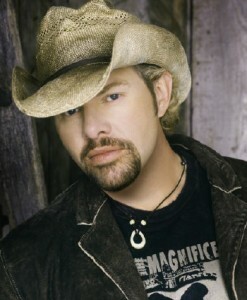 And for giving hope to all guys, Toby Keith lands at number one on the list. Friends in Low Places should be top 5 easy and probably 1 or 2. @RF – That song probably shouldn’t have made the list on here. Great song for guys. Put these together into a youtube play list, check it out! Great songs. I’m going to listen to this list right now.